Does Italy’s economic recession hinder the EU’s China strategy? The global political debate about Huawei Technologies, the Chinese telecommunications company, and its involvement in the next generation of Internet networks has forced the European Commission to rethink its China Strategy, writes Marcus Walsh-Führing. Marcus Walsh-Führing is a postdoctoral fellow at the Johns Hopkins School of Advanced International Studies (SAIS) Europe. On March 14, the College of Commissioners will meet to prepare for an upcoming EU-China summit. In preparation of the summit, the EU delegation will review procurement rules, data protection policies, security policies, and competition rules to make sure that European law is updated to meet rising competition from China. To address foreign investments in Europe, the EU has approved new investment screening regulation, which will create stronger intergovernmental relationships between member states to collect and exchange information. This is the result of addressing recent strategic corporate takeovers by China in Germany, France, and Britain. As China’s presence in the EU has become greater, member states have strengthened foreign investment legislation on their national levels. This reassessment of the China Strategy comes as member states are rethinking their own relationships with Beijing while facing the effects of a global economic slowdown on Europe. While Germany and France are taking a stronger position on China, Italy is courting China to invest in key strategic industries, such as ports and 5G broadband Internet infrastructure. If Italy goes ahead with its strategy, China will gain greater access to the European continent. This will create an even wider political divide between member states in charting the course of Europe’s position on global economic and security issues. To create comprehensive economic and security policy, member states will have to engage with national central banks and the European Central Bank (ECB) to give support to European countries that are starting to feel the effects of a slowing economy. This could provide economic insurance for the protection of European economic and security assets that are of interest to China in expanding its economic and political reach. In the fourth quarter of 2018, the Italian Statistic Agency (Istat) reported that the economy shrank by 0.2% which represents a decrease in economic output for two consecutive quarters. To reassure member states and creditors, the Italian government has implemented measures to offset a decrease in global demand. While the Italian government addresses its economic recession, European economists are uncertain whether Italy can provide sufficient economic stimulus to the domestic market. To address the economic downturn in the Eurozone, the ECB will be very strategic in the implementation of its stimulus measures. 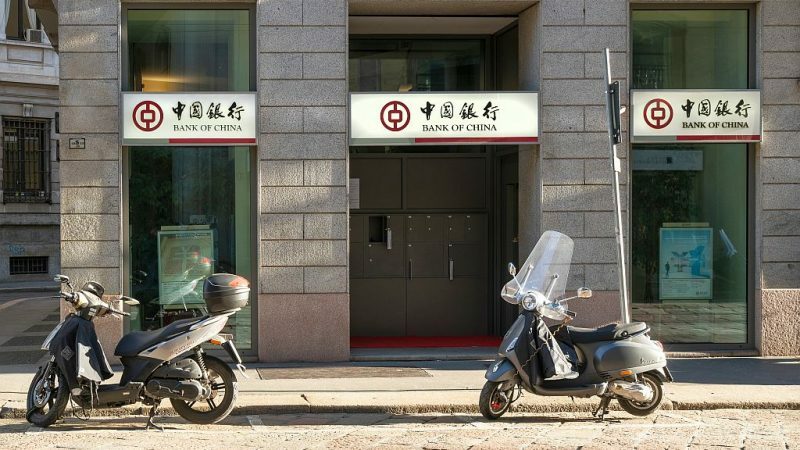 This questions whether the ECB will develop a pro-stimulus strategy for Italy to counter China’s efforts to invest in Italy on Chinese terms. While investment from China has slowed, Chinese investors have diversified their portfolios to focus on financial services, health and biotech, consumer products and services, and the car industry. In 2016, Chinese investment in Europe dropped by a record of €37 billion, which represents 50%, with an additional drop of 40% in 2017. This is a result of increases in regulation on foreign direct investment (FDI) in Europe. As the EU strategy to scrutinize FDI is in its infancy, the Chinese are forced to offset risk and engage economic friendly areas in the EU, such as Italy. On the Italian national level, discontent among political elites over politics will allow China to benefit from economic uncertainty in the country. The economic uncertainty is a result of increased spending by the current Italian government on welfare programs and pensions to address the demands from society. In addition, the Italian budget was rejected by the EU on October 23, 2018 because growth projections were higher than estimated by European experts. As the Italian government has addressed EU budgetary demands, administration leaders have blocked major infrastructure projects which had the potential of stimulating the economy. The inability of the Italian government to address fiscal and unemployment problems will allow China even more access to provide investment incentives. To counter Chinese investment, the EU is dependent on Italy to get its domestic politics in order. The Italian domestic chaos is evident in the blame game between the Five Star Movement (M5S) and the Democratic Party and their opposing economic strategies in addressing the current economic situation in Italy. By revising its China Strategy, the EU is signalling the importance of a “Single Voice” in engaging China in European investments. The EU-China summit will provide the political steps to demonstrate the importance of aligning with European measures for Italy. This will allow the EU to protect European security and competition policies from direct challenges posed by China. The Italian position and future policy decisions will be a deciding factor in beneficial outcomes for special interests in member states. These implications will set a precedent for individual member states and the EU in engaging with China in the future.